7 FREE Property Tax Saving Strategies to Help Slash Your Tax Bills! Over 33,838 investors (and counting) have benefited from these FREE strategies! … then you need these 7 FREE Property Tax Saving Strategies! Each downloadable PDF clearly explains legitimate ways to save ££££s in taxes. Don't spend too much of your life working for the taxman and paying way too much in property taxes! Yes, I Want The 7 FREE Strategies! We will NOT sell/rent/give away your information. We hate SPAM too! Property tax specialist Arthur Weller and property investor Amer Siddiq join forces to bring you this easy to read property tax busting guide - How to Reduce Landlord Taxes. Don't end up giving your hard earned property profits to the taxman. Follow any of the strategies in this unique guide and you are guaranteed to pay less landlord tax using legitimate tax saving principles. To learn more about our How to Reduce Landlord Taxes guide please click the link. 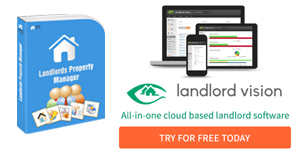 Landlord Software - Designed by Landlords for Landlords! Our award winning landlord software solutions are guaranteed to save you time, money and effort in running all aspects of your property business. No other comparable software exists! To learn more about our property management software solution please click the link. UK Tax Specialist and Property Taxation Advisor. Upto 30 minutes of telephone tax advice on any aspect of UK taxation for as little as £97 with our own UK tax guru Arthur Weller! Over 90% of queries are answered within 30 minutes and within 3 days! Over 500 consultations done by Arthur through this website! Recent UK Property Tax Questions – Over 100 Property Tax Questions Answered!